SHOCK LINE - WTF-SERPROCESS5W - Main participant. Training workshop for White Toner printing. Samples and exercises included. Main participant. 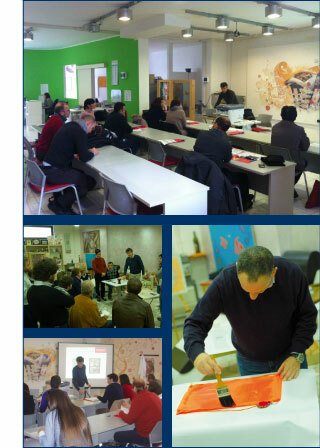 Training workshop for White Toner printing. Samples and exercises included. The White Toner Revolution has begun! Everything turns into white, including our workshops. Our new Kit4com WHITE training course is dedicated to graphic experts, digital printers and graphic arts professionals willing to learn all there is to know about White Toner: from the functioning of the printer to the "white" personalization of any colored object. Learn how to customize with white opaque graphics colored objects that were not possible to print with digital technology. NOTE: The price includes two lunches and one dinner. Accomodation non included.